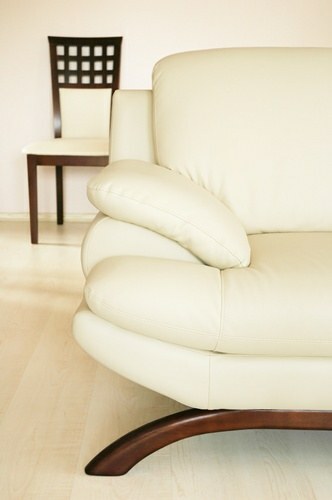 The market of furniture products is one of the busiest in the world. Every day open new production, new furniture firms and shops. In this situation all the more difficult becomes the problem of attracting attention of the potential client. To help can choice the original selling names. Define your target audience. Customers can be divided into purchasing power, field of activity, geographical characteristics, etc. for Example, if the firm specializiruetsya in the production of luxury furniture for the wealthy, would be appropriate name emphasizes the high social status of buyers. To select the most successful names try to conduct a survey of a group of people from your target audience. The survey can be offered as to evaluate existing options and to call your own. Carefully consider all opinions. It is not excluded that some of these ideas in the end will be the most successful variant. Try to associate the type of activity and the name of the furniture company. This advice is particularly relevant for small and medium-sized companies that focus on a narrow specialization (i.e., each firm tries to gain a foothold in a specific market niche). Usually they have at the beginning is not so much money that they could invest in the promotion of any sounding but incomprehensible name. The name that is associated with the specifics of the work itself, to some extent, serve as is and allow a little more time to save. Use different dictionaries. It can be a dictionary of foreign words, or explanatory dictionaries of associations. Perhaps it will help to find original and interesting version. The electronic version can be found on the Internet. By selecting some of the most relevant and interesting titles, write them on a separate sheet of paper and somewhere to hide at least for a few days. Over time, you will be able to be realistic about all the advantages and disadvantages of the selected options. Eliminate excess and allow to see list relatives and friends that they helped to choose the successful name. Using search engines to check for uniqueness in the region. If any furniture manufacturing already has that name, pick another option from the list. The title should be easy to pronounce and be memorable. Avoid using personal names long and complicated abbreviations. You can contact the firm specializing in naming (selection of names). However, such services are quite expensive.